Impulsive yet calculating, persuasive but often authoritarian, a visionary obsessed with details, Mahathir Mohamad’s first tenure as prime minister from 1981-2003 undoubtedly left a deep imprint on Malaysia. Credible achievements marked his tenure, including prudent macroeconomic management, fostering a sizeable middle class, and increasing the country’s international influence. His political re-emergence following the May elections has incited a range of reactions. For some, the elderly leader is seen to be sacrificing his last years to re-direct a ship adrift; for others, he is directly responsible for the deep-seated malaise afflicting the country’s political system. For some, the elderly leader is seen to be sacrificing his last years to re-direct a ship adrift; for others, Mahathir is directly responsible for the deep-seated malaise afflicting the country’s political system. Now that the Mahathir II administration has completed its first 100 days in office, he has some credible achievements to its name. Despite the victorious coalition comprising a rather disparate group of parties, cabinet positions were allocated with a minimum of public dissent, resulting in a mixture of known quantities and younger, yet qualified, appointees. Institutional reform has also well and truly begun, with no less than nine key agencies, including the commissions for public service, national audit, anti-corruption, elections, and judicial appointments reporting to parliament – rather than the prime minister. Furthermore, a Public Accounts Committee has now been established, with its chair coming from the ranks of Mahathir’s former party, the United Malays National Organisation (UMNO), now in opposition. And, the repressive Fake News Bill has been consigned to oblivion. But some of these actions are in direct response to two legacies of questionable value stemming from Mahathir’s first stint as prime minister. First, back then, it was Mahathir who concentrated power and resources in the prime minister’s position. He dramatically increased the size, budget, and reach of the Prime Minister’s Department, and turned to a select clique of external advisers for policy advice, rather than line ministries. Mahathir also weakened checks and balances on the national leadership, drawing power and resources away from state governments to the federal level, and undermining the independence of the judiciary. He placed important constraints on the power and prerogatives of the monarchy, and compromised the independence of the Election Commission. During his first prime ministership, Mahathir was also minister of finance on two occasions – a precedent subsequently followed by his rival in the May elections, Najib Razak. Second, it was Mahathir who crippled effective leadership succession in UMNO, through frequent disagreements with other senior leaders. As a backbencher, Mahathir pushed for the first prime minister, Tunku Abdul Rahman, to step aside following the May 1969 racial riots. In the mid-1980s, as prime minister and UMNO president, Mahathir feuded with Musa Hitam, his deputy prime minister, and Tengku Razaleigh Hamzah, the finance minister. A decade later, Mahathir fell out with Anwar Ibrahim, a subsequent deputy prime minister, in the wake of the Asian Financial Crisis. After leaving office in 2003, Mahathir then quarrelled with and pushed for the replacement of his two subsequent successors, Abdullah Badawi and Najib Razak. Now 93, and back in office, this new-yet-old situation raises two central questions. First, given his previous record, what does Mahathir’s resurgence mean for the country’s institutions? Second, what sort of leadership transition can we expect, given his history with Anwar Ibrahim and his pre-election pledge to stay in power for only two years? It is possible that the changes under the new government may be more attributable more to the country’s new context, rather than Mahathir himself. His coalition, Pakatan Harapan, campaigned on a platform of good governance, pledging to roll back controls on political life and increase transparency. Furthermore, Mahathir is head of a smaller, rather than larger, coalition member. And, buoyed by the possibilities for change, the public is in no mood for obeisance. Indeed, the effectiveness of these constraints can be seen in Mahathir’s climb-down following vocal protests to his initial plans to double up as Minister of Education. 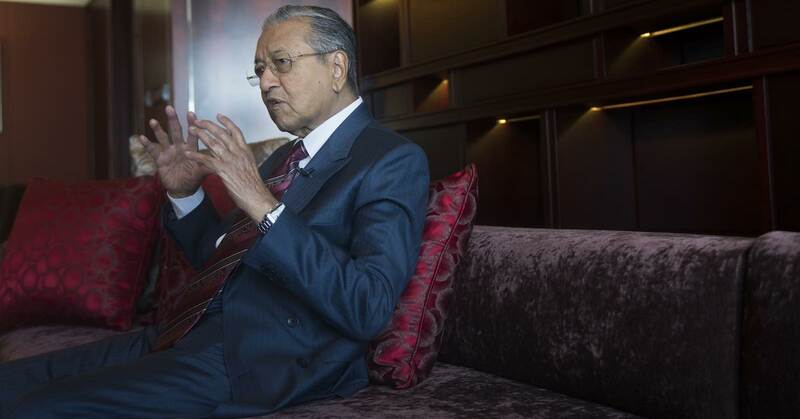 Yet, it is likely that his newly-found appreciation for institutional integrity also stems from his journey in the political wilderness, where Mahathir experienced a taste of the repressive political apparatus he helped create. In his battle to unseat Najib Razak, he witnessed the atrophied state of alternate power centres such as the anti-corruption commission, attorney-general’s office, media, and civil society. It is also likely that aware of his own mortality and possibly cognizant of his poor record in grooming successors, Mahathir has realised that strong checks and balances are the best way to ensure a positive future for the country, and an enduring personal legacy. 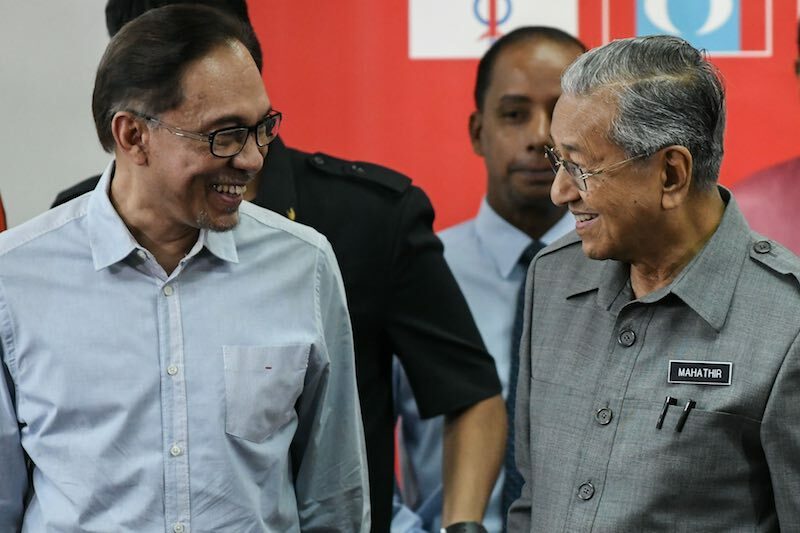 For the leadership transition, the mechanics of a hand-over to Anwar Ibrahim are complicated. Independent of Mahathir’s own choice of successor, looking at how he relinquished power at the end of his first tenure can prove insightful. In 2002, when Mahathir first declared that he would step down, his reputation had been tarnished by the fallout from Anwar’s imprisonment and the 1998 Reformasi movement in Malaysia. 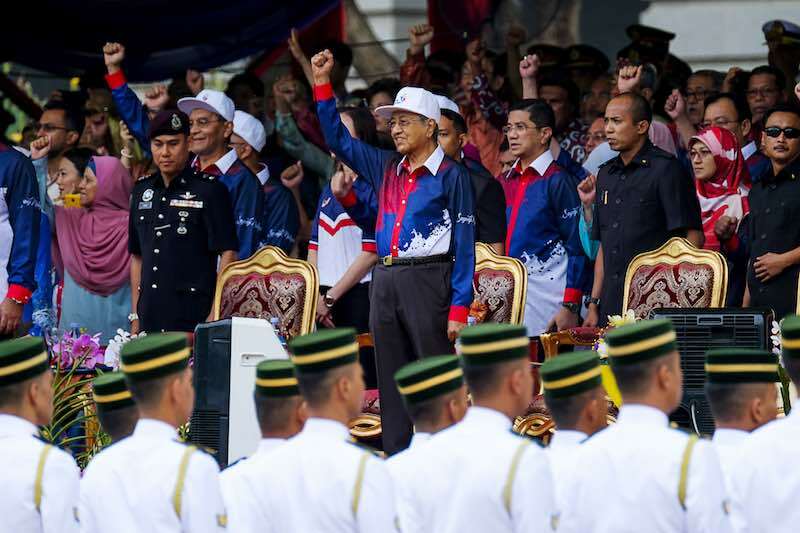 Mahathir’s standing among the Malay electorate had fallen dramatically, and UMNO lost hundreds of thousands of members to PAS, the Islamic party, as well as Anwar Ibrahim’s People’s Justice Party. With elections looming, Mahathir sensed he was going to lose and, in consequence, decided to leave on his own terms. However, in the 16 month period between his announcement and his effective retirement, Mahathir laid the groundwork for a transition to Abdullah Badawi, and sought to preserve his own influence. Ailments aside, Mahathir will probably be around as long as he enjoys popular support. And, even after he has left centre-stage, he will be active behind the backdrop.